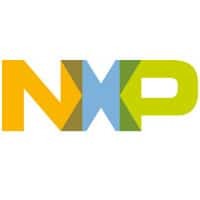 LAS VEGAS, Oct. 19, 2017 — NXP Semiconductors N.V. (NASDAQ:NXPI) today debuted two significant technology breakthroughs at the largest fintech innovation event, Money 20/20, October 22-25, 2017, in Las Vegas. The company will showcase its new contactless fingerprint-on-card solution while also demonstrating a new world benchmark for payment card transactions speeds. There will always be those who prefer the form factor of card over mobile or wearable (e.g., watch). This is a great option to have in our arsenal. Low power electronics and better battery life make it possible. Cost is more of a problem for issuers than for users. Those who will pay hundreds of dollars for a mobile will not balk at tens for a card provided that the life is long enough. My Coin card (no longer available) is two years old, stores multiple credit card numbers, configured by an app over Bluetooth, and uses both a tap-code or proximity to the mobile for security. I would gladly replace it for a hundred dollars. Of course I would prefer a fingerprint sensor to the tap code.